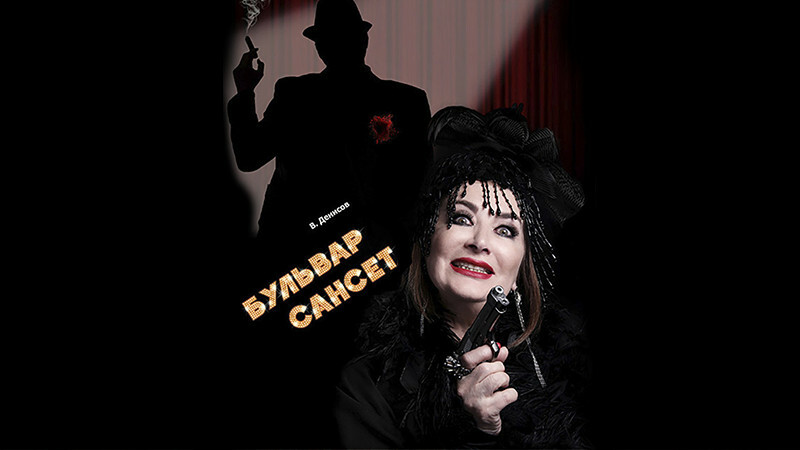 Sunset Boulevard in Russian Drama Theatre buy tickets online. Delivery of tickets for the event Sunset Boulevard. Aging Hollywood star Norma Desmond is looking for a way to return not only to the profession, but also to society. Fortunately, she meets the beginning screenwriter Joe Gillis, with the help of which she hopes to re-sparkle on the cinema screens of the world, regaining her former popularity and fame. To do this, they write a script where she expects to play the role of the heroine. Norma falls in love with a young man. However, Joe has a love-romantic relationship with Betty, the studio editor. The situation comes to a standstill and faces an explosion when Betty appears in Norma’s apartment. She cannot understand: what exactly binds the aging star and Joe? The situation becomes almost stalemate, when it turns out that the script written not only at the desk, but also in Norma's bed. What will Betty do after that? Can Norma hold Joe? And, who will choose Joe himself: Norma, as a springboard to fame and glory, or Betty - a simple film studio editor. After all, the editor has more real opportunities to “push” the script than a forgotten star! What will Joe choose?